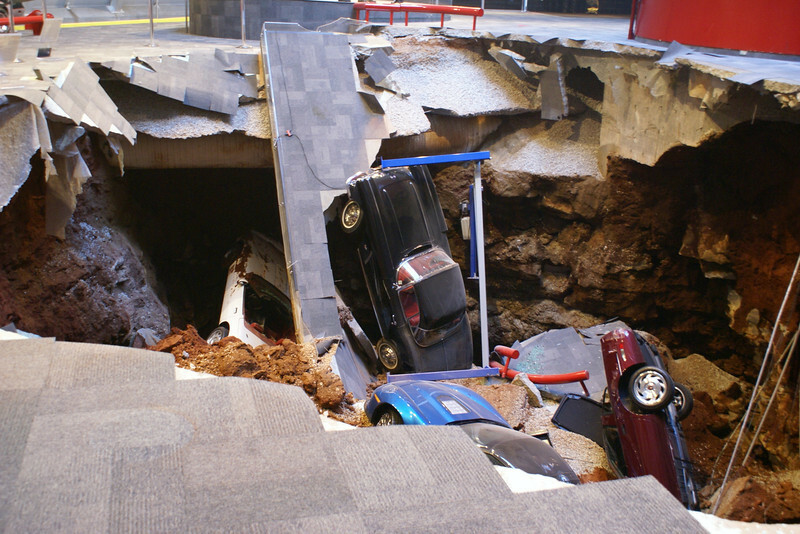 The sinkhole that opened up underneath the National Corvette Museum in Bowling Green, Kentucky has quickly become one of the institution’s most popular exhibits. Just three months after eight prized automobiles slid down Planet Earth’s jagged gullet, visitors from around the country are flocking to the Bluegrass State to see the damage. 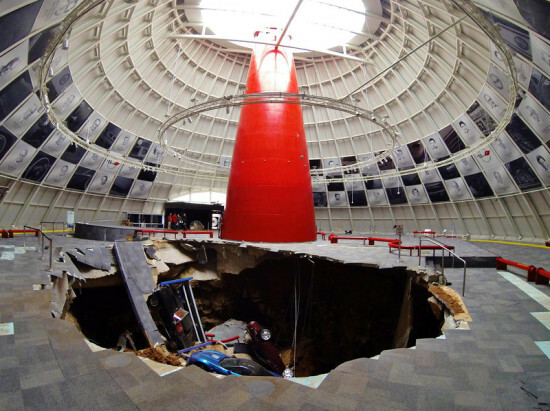 In fact, attendance at the museum has spiked since the 40-foot-wide, 60-foot-deep, hole did its thing. Visits are up 20 percent in the first quarter of this year, and over 50 percent in March. The cars have since been pried out of the earth and are now on display in all of their dirty, beat-up glory. 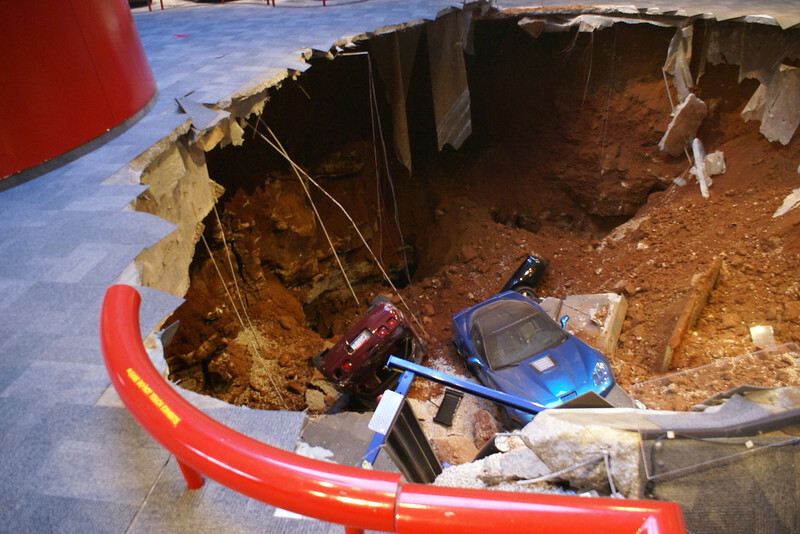 The museum is also considering keeping the sinkhole as a permanent exhibit. 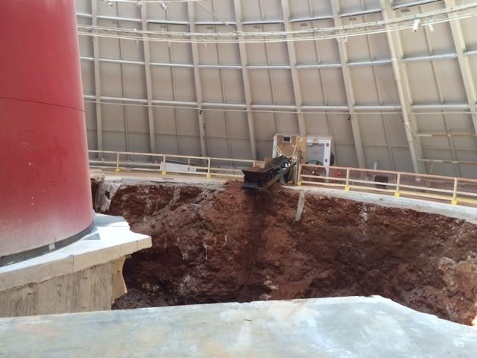 If it does, the hole will either be topped with a glass floor, connected with a bridge, or made accessible with a staircase that descends down into the earth.